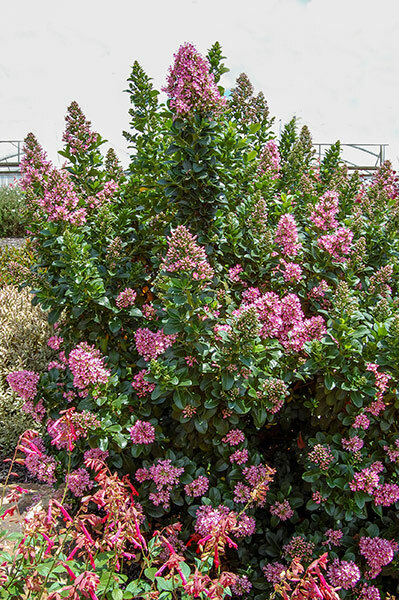 Escallonia 'Pink Elle' will win you over with its striking displays of upright pink flower heads which fade to a gentle pink-white. 'Pink Elle' looks stunning in classic white or black pots and creates a real air of elegance. 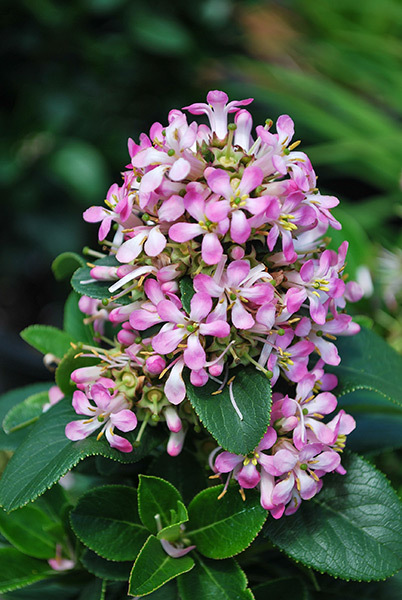 Its compact habit and dark glossy green leaves complete the picture. Easy to grow and trouble free. Low water requirements once established. Prune back to desired shape after flowering finishes, removing old flower heads. Feed with a slow release fertiliser in spring for optimum results.